Handbags by Dooney & Bourke have been a favorite stylish accessory for guests visiting Disney Parks for years. Recently, one of the most popular collections received a colorful and creative update thanks to Paola Gutierrez, Senior Graphic Design with Disney Consumer Products and Interactive Media Creative Group. I spoke with Paola about her work on the new design that connects directly to Disney Parks. Look for three silhouettes in this collection including a Tote, a Zip Satchel, and a Crossbody Wallet. 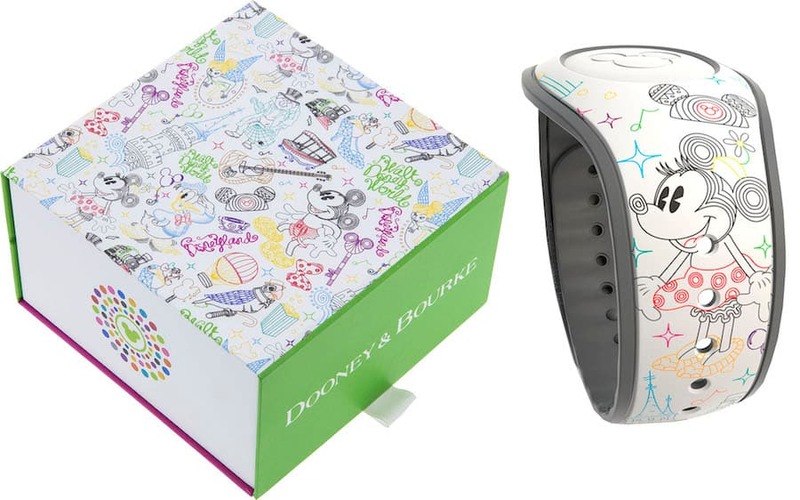 The “Walk in the Park” design is also found on a limited release, retail MagicBand that is presented in a specially designed box. 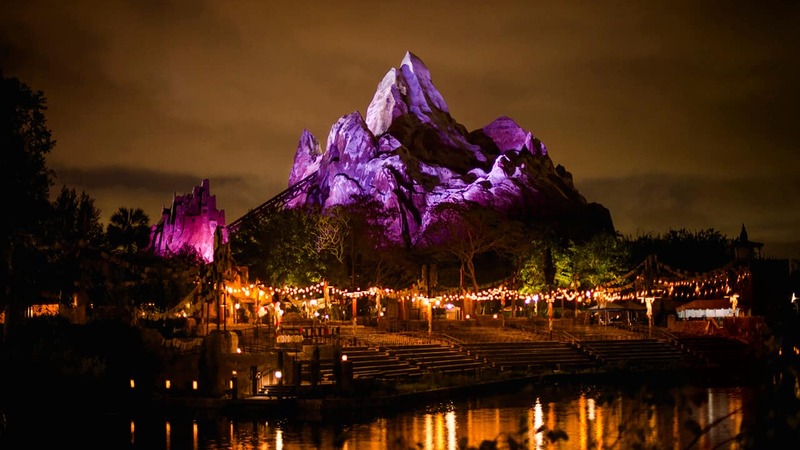 Containing the innovation of MagicBand 2, guests can use it to unlock the magic of a Disney vacation – from effortless theme-park entry, FastPass+ redemption and Disney PhotoPass association, to skipping the front desk and going directly to your resort room. 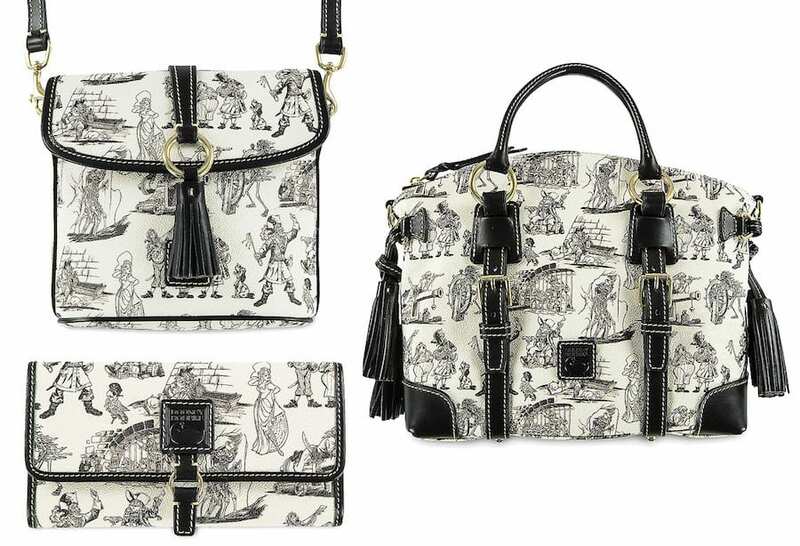 Fans of Dooney & Bourke handbags will notice several new silhouettes being offered at Disney Parks this year. Some of these silhouettes were included with the Pirates of the Caribbean attraction collection such as the Crossbody Bag with oversized leather tassel. “Our guests shared they wanted more options, so this year we are introducing a mixture of classic and new silhouettes,” said Angelique Vu, Merchandise Product Developer for Accessories. Angelique gave me a sneak preview of two new collections being released in July. 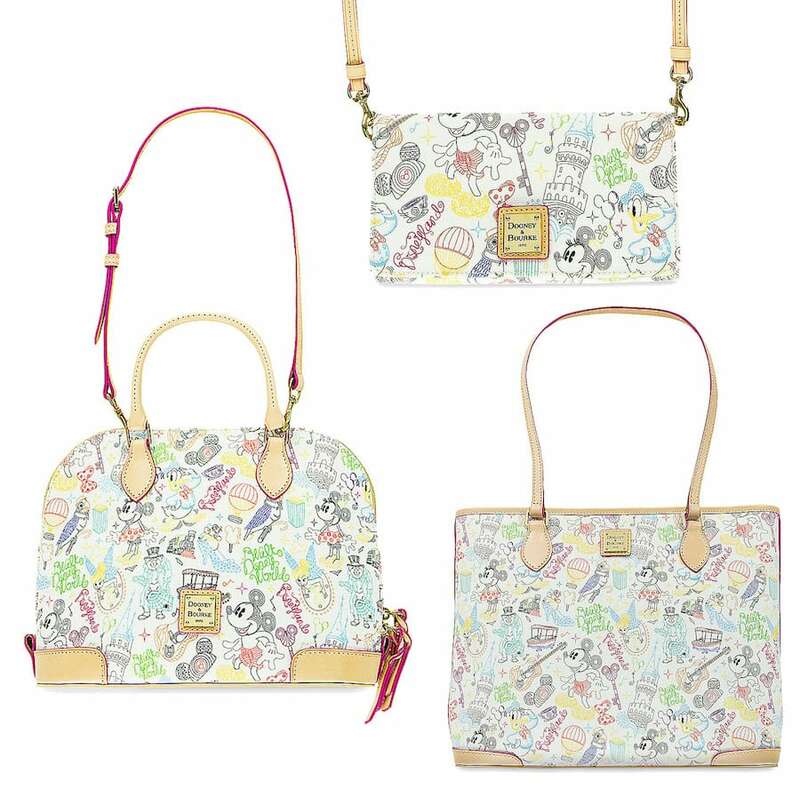 The first is a continuation of the “Dream Big, Princess” collection with handbags inspired by Disney’s “The Princess and the Frog.” The handbag shown above contains a gorgeous image of Princess Tiana, and will include a specially designed leather hangtag. The second handbag will be part of a Madame Leota-themed collection inspired by the Haunted Mansion attraction. These handbags will be released on July 22 at the Marketplace Co-Op in Disney Springs. Guests attending this launch party will also have the opportunity to meet Ian Ray, Creative Director for Dooney & Bourke from 10:30 a.m. to 12:00 p.m. These collections will also be released at Disneyland Resort on July 26. Guests may find Dooney & Bourke handbags in select merchandise locations at Disney Parks, on DisneyStore.com, or via the Shop Disney Parks app. Which designs are your favorite? Please share in the comments below. Can we expect any Dooney backpacks in the future? I have been anticipating a possible comeback of the Sketch backpack. When will the Princess Tiana bags be available online? The article says the Princess and the Frog bag is available at the Shop Disney Parks app, Marketplace Co-op, and Disney Store. None of these have the Tiana bag, but the Haunted Mansion bag is available, which is not the one I want. The article doesn’t seem to be correct. Please update or give new information for where we can find the Tiana bag. 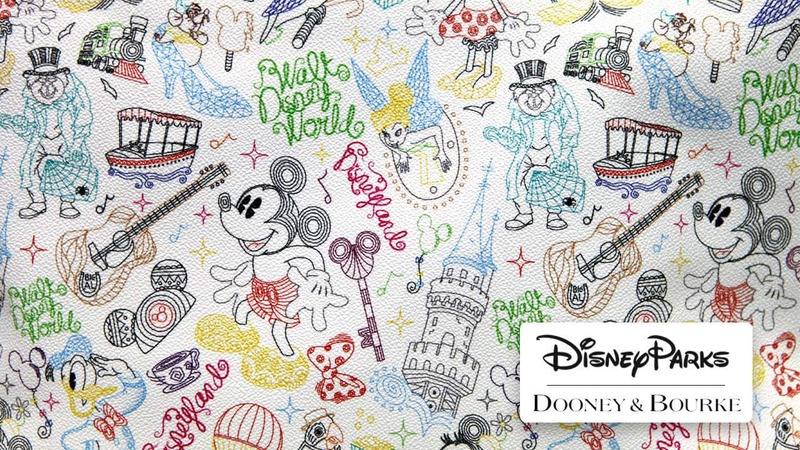 Just wondering if the Walk in the Park Dooney bag that is available for Annual Passholders, will still be at Disney World in mid-October. Hi – which stores at the Disneyland Resort will carry each of these? 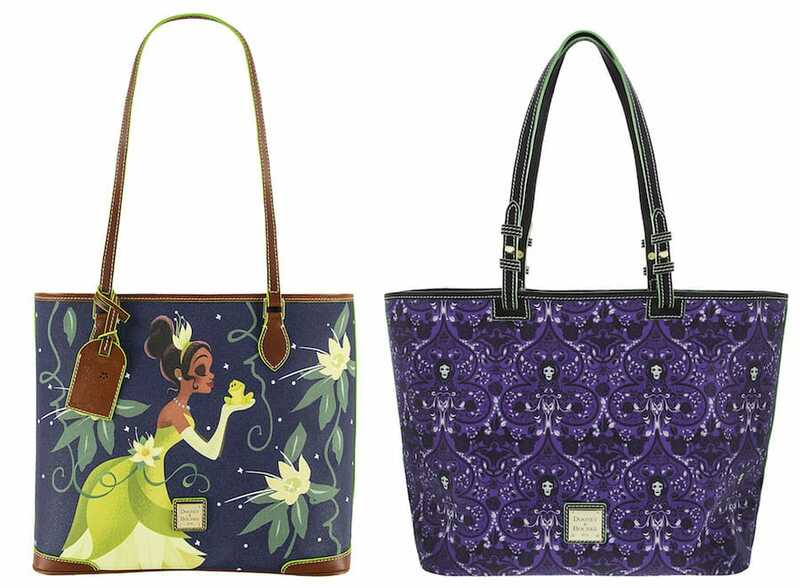 What is the style # for the Madame Leota Shopper? Hello, Will the Princess & The Frog Foldover Crossbody be available at DisneyStore online or the Shop Disney Parks app on July 22nd? If not on July 22nd, when will these be released online or on the app? Thanks! Soooo I really wanted the Sketch backpack for my birthday but apprently it isnt coming back 🙁 Is there any chance of this coming in a backpack? How much will the bags cost? Specially the Tiana tote? Do you know if there is a going to a Food and Wine Dooney. We are fortunate enough to be there for this years Food and Wine Festival- travelling from the uk ?? for our hollibobs. I would love to have a Dooney to cement this memory ? I would love for the a walk in the park pattern to be in a backpack silhouette for my daughter, she loves that design. We are scheduled to be in the park in early January. How/when can I purchase this new magic band for our trip? What is the cost? Thanks! Will there be any other styles besides the same 3 for the Madame Leota design in the near future…?? Maybe a Satchel? @Lanetta – I have not seen any plans for a satchel. I’m only aware of the silhouettes mentioned below. Will these eventually be released on the shop parks app? @Bre Anna – The Pirates of the Caribbean and A Walk in the Park collections can be found on Shop Disney Parks app. The new collections for July will be offered on the app once released. Will the event on the 22nd feature any OOAK/Sample bags or just the new styles? Thanks! @Marisa – I’m not aware of any plans for sample bags being offered at the July 22 release party. I intend to have a follow up article in a few weeks with additional details. Stay tuned. Please pass on what a bummer it was that the AP walk in the park bag could only be purchased in the park. I don’t live anywhere near the parks (Alaska) but I own a premium pass so I can hop back and forth between Florida and California…but I wasn’t scheduled to be there during that short time the bag could be purchased. It would of been nice if I could have purchased one on the shop disney parks app since it is aware of my pass. Thank you. I have been dreaming/wishing for a Princess Tiana Dooney for years! I can’t wait to get this one. Hi! Will these be available at the retail Disney Stores, not just online? Love them! Ack the new prints look amazing!!! Wish they’d update product assortment of Nike polo’s as often as they get new Dooney/Bourke. Anything coming soon, including any updated art programs for Resorts? Any chance they’ll add more DCL/Aulani items to app? @Jonathan – Thank you for your questions. I’m not aware of new Nike polo shirts for resorts. The Resort collections are periodically updated. If I hear of anything different, I’ll share. I’m also not aware of additional items from Disney Cruise Line or Aulani being added to Shop Disney Parks app. What kind of silhouettes will be available for the Tiana and Leota bags? Tiana is gorgeous!!! Hoping we see a Pocahontas bag soon too!! Princess and the Frog!!!!!!!!!!!!!!! I must have that bag!!!!!!!!!! Hi Steve? Excited about the upcoming new releases. Do we know the prices for the Princess Tiana and Madame Leota bags? Also, will they be available in other silhouettes? Thanks! @Maria – I intend to have a follow up story with additional looks and details. Meanwhile, here is some initial information about the new handbags coming in July. Please note that all retails prices are subject to change without notice. Oh my GOSH the Madam Leota!!!! Looks like this will be what I buy myself on my Honeymoon 2nd week of August. This is so exciting! Is the existing sketch pattern completely going away then? Also, is the Tiana print coming in other styles as well? I can’t eat to see what princess they will do next! @Nikki – At this time, the original Sketch pattern is still available. The Princess Tiana bag is part of the “Dream Big, Princess” collection. The first bags in that collection featured Disney’s “Beauty and the Beast.” Additional collections are planned. Stay tuned to Disney Parks Blog for additional updates. Love the Madame Leota print!!! Will it be available as a wallet? @Emily – There will be a Wristlet.